This project - located on the River Wandle at Poulters Park, Morden, Surrey - consisted of chalk stream restoration measures to re-instate natural form and function associated with this type of habitat. 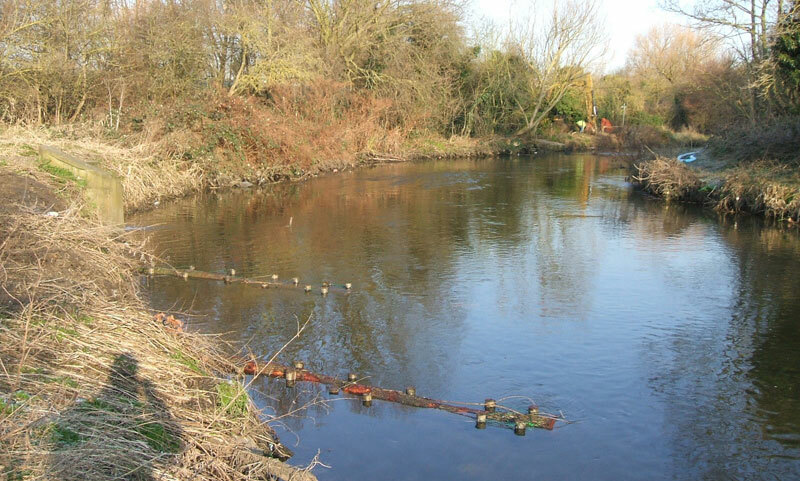 The approach concentrated on channel narrowing measures to improve the in-stream gravel bed habitat in order to create suitable conditions for water crowfoot establishment and fish spawning. In addition the measures have provided, through time, improvements to marginal habitats. As far as possible, all designs and techniques complied with best practice outlined within the Chalkstream Habitat Manual and the Manual of River Restoration Techniques.